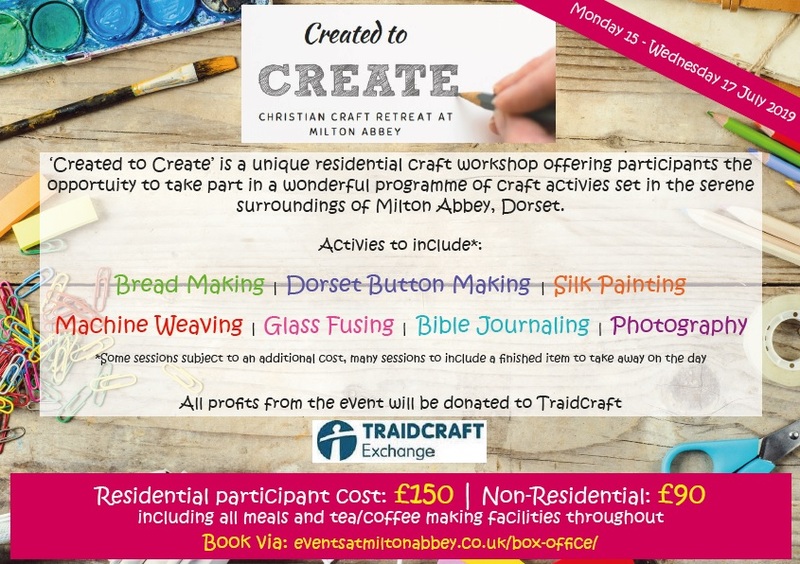 Milton Abbey is delighted to be hosting a brand new Christian craft retreat event for 2019, which will run from Monday 15th – Wednesday 17th July 2019. Participants can enjoy a fully catered residential stay in the inspiring surrounds of Milton Abbey, with the opportunity to take part in a number of wonderful activities. No previous experience required, and all sessions are led by people experienced in their craft. 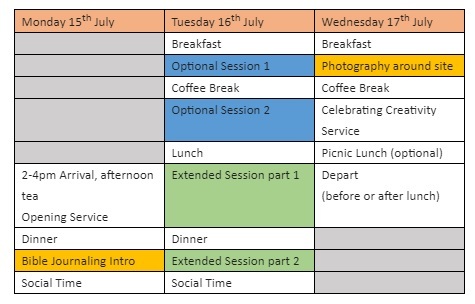 Arrival will be from 4pm on the Monday, with the finish to be 12:30pm on the Wednesday (with optional picnic lunch/ or packed lunch for those needing a swift departure). Included in the package is an introduction to Bible Journaling, Smart Phone Photography around Milton Abbey, and a choice of two other craft sessions including Glass Fusing, Bread Making, Dorset Button Making, Silk Painting and Machine Weaving. There is then the opportunity for one extended session of your choice, with a varying extra cost: Advanced Glass Fusing, incorporating Dichroic jewellery (£15), Advanced Techniques in Bible Journaling (£25), Basket Weaving (£15), and Make Your Own Clergy Top (tbc). The cost of the retreat is £150 for residents and £90 for non-residents (day guests), and bookings can be made online by clicking HERE. For further information, please contact Jo Davis via createdtocreate@miltonabbey.co.uk.